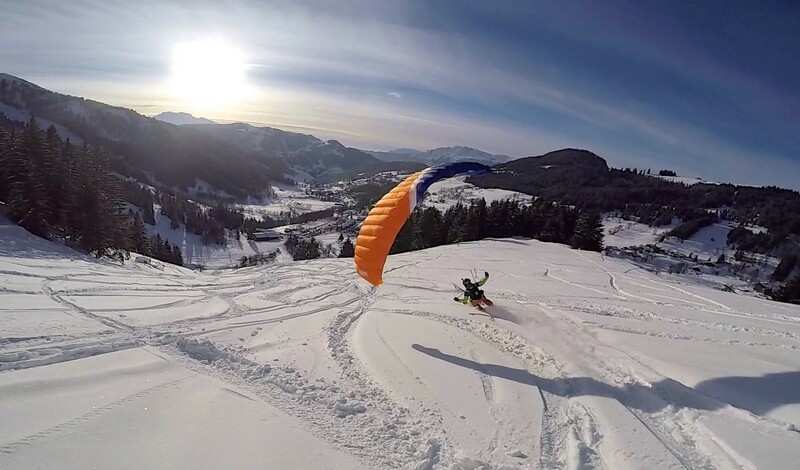 The X-ride is a speedriding wing for experienced to expert pilots. 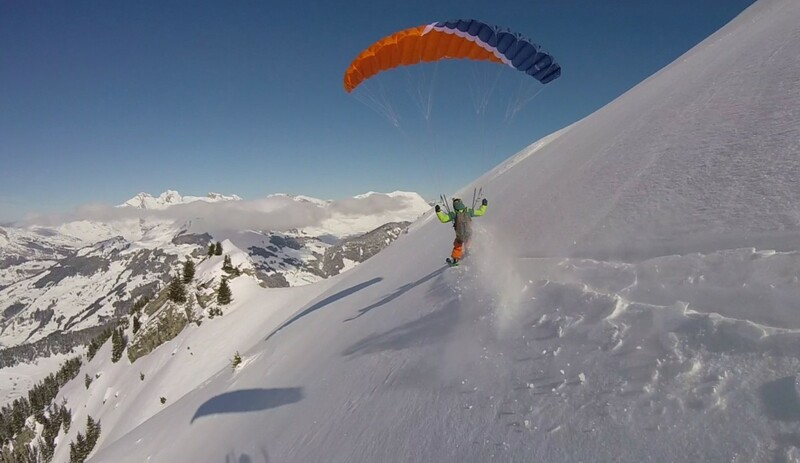 Neo is a 100% French brand that first appeared in the field of free flight a few years ago. They offer top-of-the-range equipment with a high quality finish. 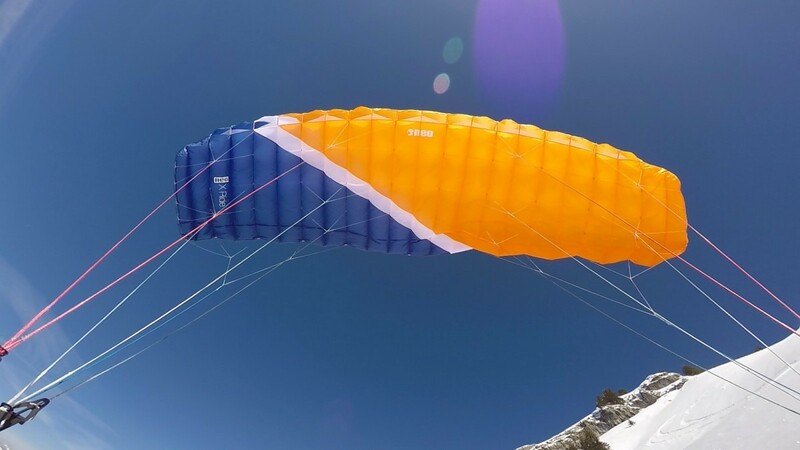 The Neo range consists mainly of harnesses, speed-riding sails (S-ride & X-ride) and speed-flying (X-fly). 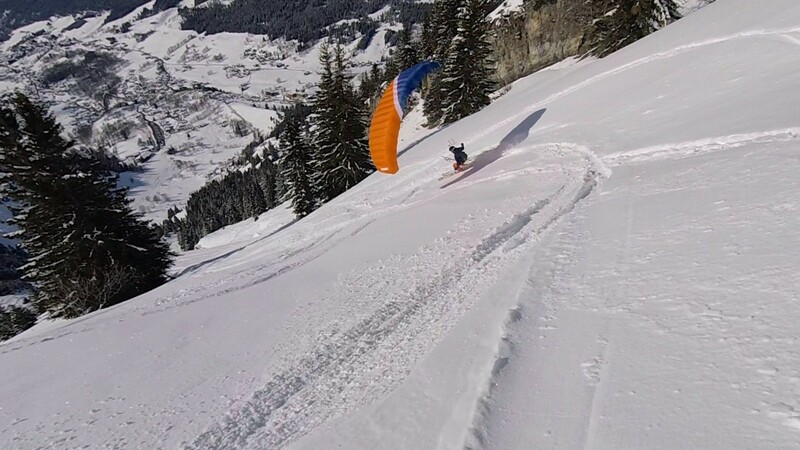 The X-ride is available in 8 – 9 and 10m2. 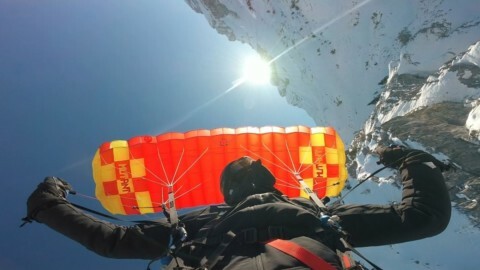 We were able to test the 10m2 in idyllic conditions. The Neo wings are delivered with a beautiful 60l backpack and a speed-bag that comes ingeniously attached to the “Body” harness. From the first glance, the quality of the materials and assembly work inspires confidence and the wing looks robust. This first version is nevertheless rather heavy and voluminous, we can’t have everything. The second version has been lightened but there is also a really light version of this X-ride, the X-lite. 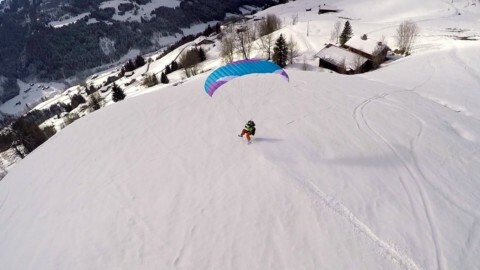 It’s rare to need a light speed-riding wing, but there are hardly any, and hiking and travel enthusiasts will be happy to find such a light and compact speed-riding wing. The X-lite will also be more pleasant to ride because of its lightness, it will also tolerate a little better low speeds. Apart from the lower part of the brake lines which is sheathed, the whole line is drawn. This makes drying easier, but the lines tend to mingle a little. The SAS (Steep Active System) is a set of risers specially designed to keep the wing in a permanent nose-down position, as if the wing were half trim. A pulley system on the rear risers allows, by pulling the brakes, to act also on the rear risers in order to find more or less glide fineness. A small trim is also available and placed high enough on the risers to increase the pitch. These lifts are simple but clean. An elastic band ring allows the wooden ball to pass through the controls and fasten them. The controls are very ergonomic and large enough to put them on with large gloves. In addition, the large wooden balls allow a good grip and direct contact. An elastic band connects the controls to the risers, those who don’t like it will just have to cut it off. 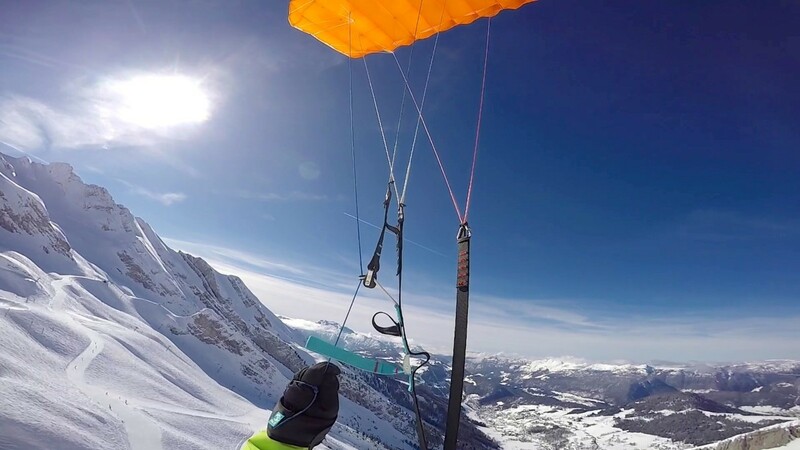 It is important to understand that the SAS system has a lot to do with the behaviour of the X-ride and that with conventional risers, it would behave in a less atypical way and quite close to the Gin fluid 1, which was also partly designed by François Bon. On takeoff, the wing shoots hard enough and requires a big tempo. It tends to swell by half-wing, pulling a little in the slope. 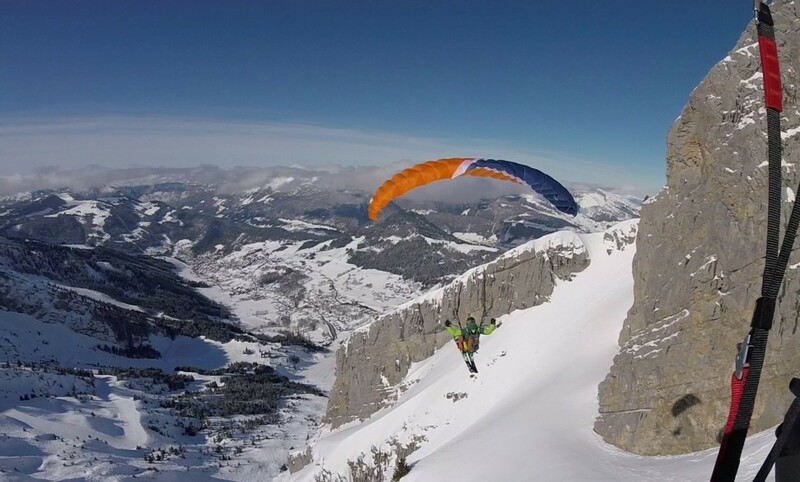 Without displaying a brake, you will remain in contact with the ground unless you jump off a rocky bar. 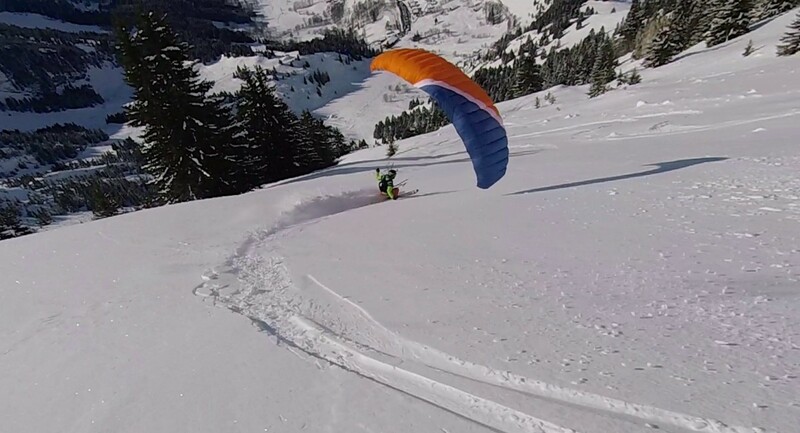 The speed in flight is immediately impressive and glide is almost non-existent. It will be necessary to display brake without shyness to have a bit of glide. Do not hesitate to brake by moving the arms apart to increase the effectiveness of SAS. The controls are very physical, especially when you’re trying to glide or slow down to land, and the stall point seems impossible to reach because the controls become so hard. The travel is very long and those who like to drive the arms high enough will probably have to shorten the controls. 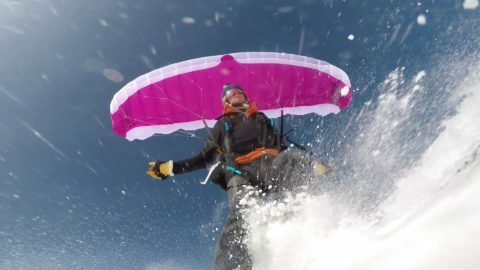 In order to have an immediate reaction to the command during the flight phases, it will not be necessary to be shy there again, the wing reacts in a progressive way, a behavior probably due to the SAS. The resource is not very frank, it will have to be pulled vigorously and by pulling aside the arms to have a fished resource. 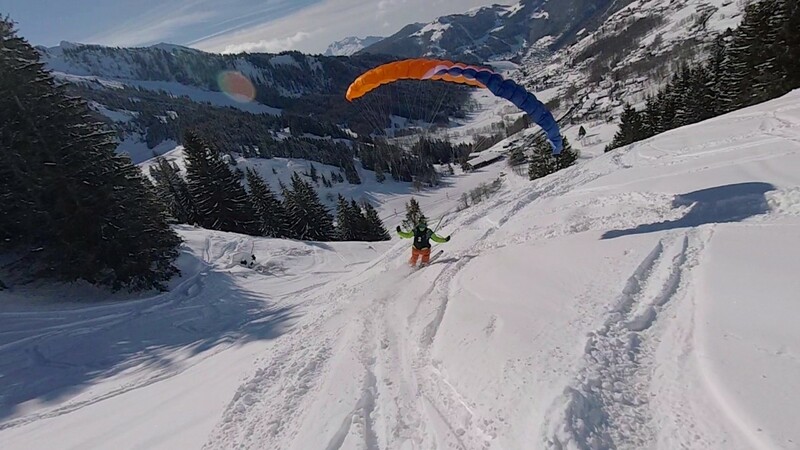 The glider is deliberately not very responsive to the fifth wheel so as not to interfere with piloting during ski phases. With the Body Neo, the harness supports are very different anyway, it is by leaning the whole body that you can best help the wing to turn. The roll is not very dynamic for an expert wing and the barrels turn well but are quite slow unless flying with a large wing load. Beware of the barrel outlet quilting, remember to keep a good margin. 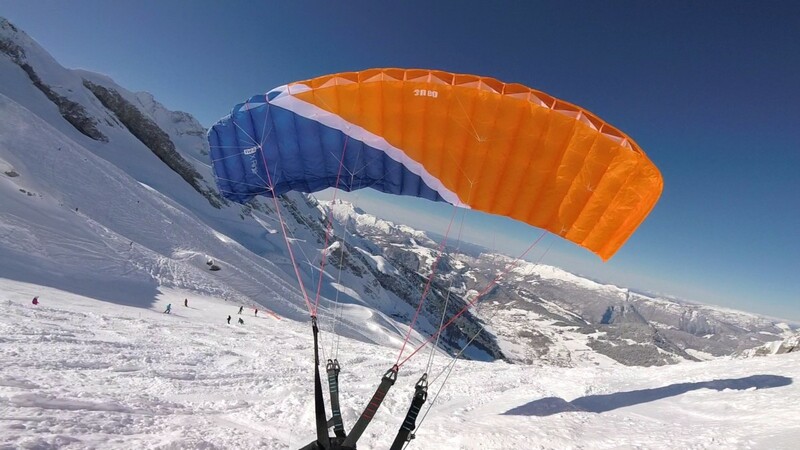 The X-ride’s nose-down attitude is very impressive, very few wings are as sharp and it’s really easy to get close to the ground and reposition where you want it to be with great precision. 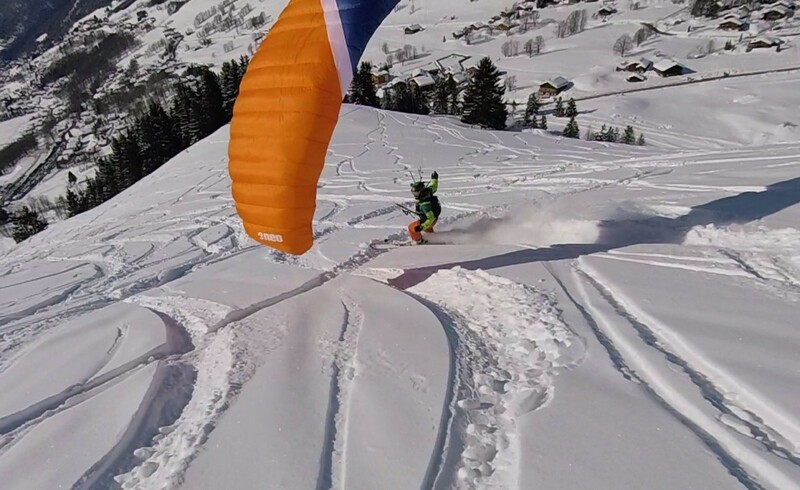 We still arrive quite quickly and it is difficult to slow down the kite to pose smoothly, in a beautiful powdery powder it will not be a problem, but the non-experts skiers who want to pose in a hard and traffolite snow will have to prepare their knees. Once the skis are laid down, the X-ride can reveal its true nature. 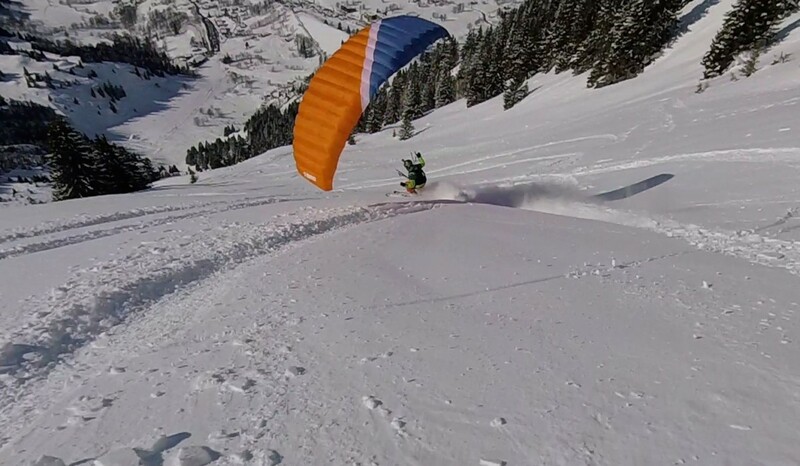 Its main advantage is that it does not saturate in speed and therefore does not take off despite a fast ski even on steep slopes. 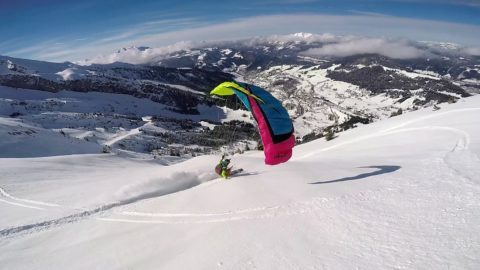 It feels a little heavy above the head and these reactions are slightly slowed down, but it tolerates well the low speeds, allowing to follow the phases of slow and fast skiing. However, the SAS system still has a certain tendency to want to exceed at low speeds and it will always have to be held by the brakes. 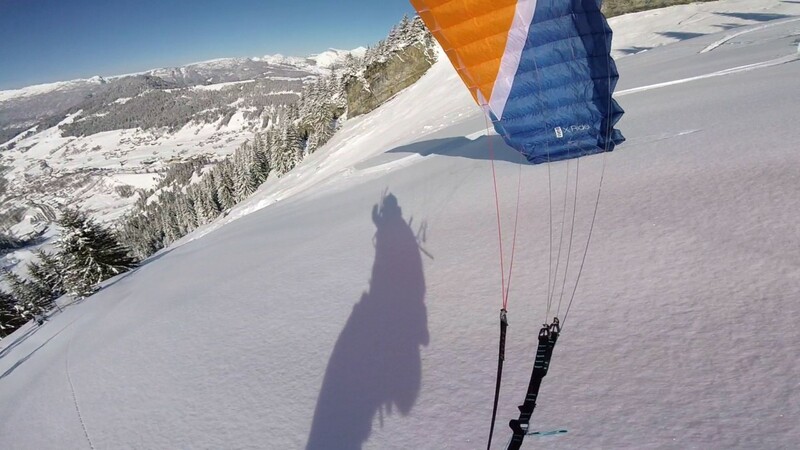 Fortunately, they are much less physical during the skiing phases than in flight. The wingtips close quite easily when they are heavily unloaded or have not been held sufficiently by the brakes. They also have difficulty re-inflating themselves, the internal structure the second version of X-ride has been modified to facilitate airflow and solve this problem. 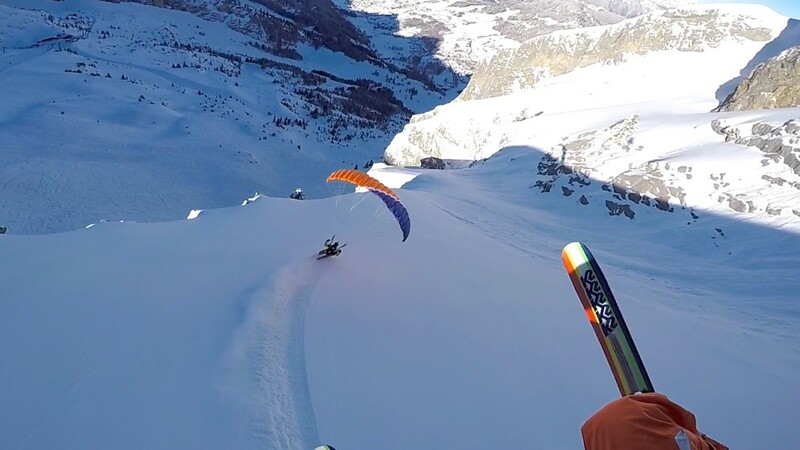 The major advantage of the SAS system of this X-ride is to be able to ride without being disturbed by a wing whose trims must be constantly manipulated to adapt to the terrain. We strongly advise against flying on foot with X-ride and SAS. 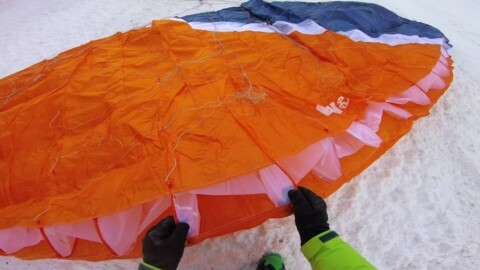 Even if it is obviously feasible, the handling requires a lot of speed and it is difficult to slow down the kite enough to land safely on foot. With a large wing load, we'll have a precise and responsive wing, but we'll need a high level of skiing and speed-riding to handle the speed and dive that goes with it. 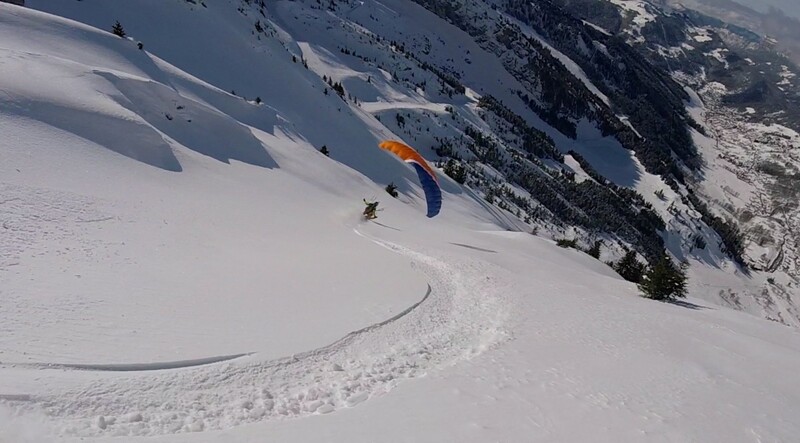 Very good skiers looking for a wing that allows them to carve Mach 12 curves in wide spaces will be seduced. 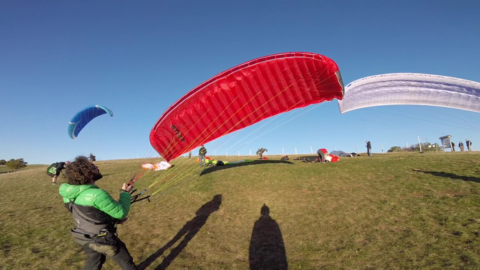 The second version of this X-ride promises to be very interesting and the fact of choosing SAS or not will make it possible to better adapt to the driver and the place of practice.